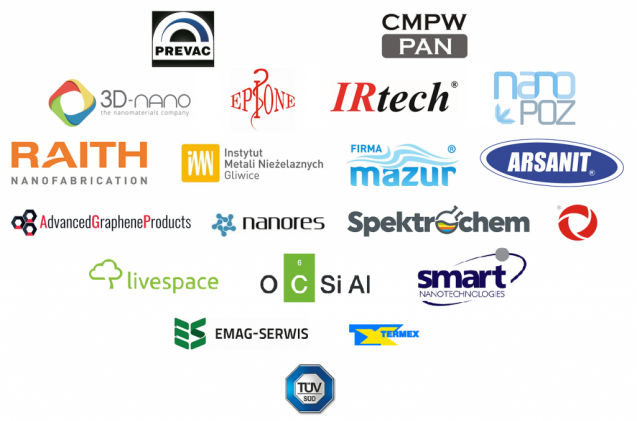 Over the past 10 years, Foundation of Nanoscience and Nanotechnology Support NANONET has been presenting the world of „nano” to the Polish society. Our main goal is to promote modern entrepreneurship that is based on nanotechnological solutions and disseminating research results in this dynamically developing field of science. systematic contact with selected partners of NANONET Foundation. During the contract, Honorary Patron has the right to publicly use the name of Patron of Foundation of Nanoscience and Nanotechnology Support NANONET and to use it for own promotion. Full offer can be found below together with information about placing of advertising of your company. At the same time, we inform that we are open to broadening our offer depending on your needs. For more information, feel free to contact us at fundacja@nanonet.pl or by contact form placed in the bookmark „Contact”.